Conditions for success are requirements essential to the achievement of your desired outcome, such as adequate resources, sufficient time to do a top-notch job, or quality communications that keep everyone engaged. 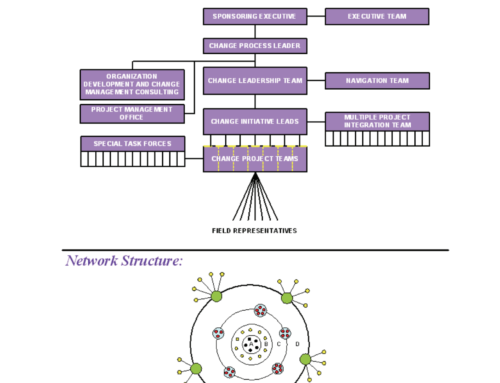 Conditions for success may also refer to a particular state of being that enables the transformation to occur more smoothly, such as the leaders taking a conscious approach, the executives presenting a unified front in support of the transformation, and people realizing that their needs are actually being considered as the transformation is planned and implemented. Conditions for success can also support the personal transformation work required by your change efforts such as creating a safe environment for truth-telling, supporting personal breakthrough to new behavior, and encouraging cross-boundary conflict resolution, communication, and collaboration. Imagine your conditions for success as “gas pedals for accelerating” your transformation. They set the stage for an expedient journey and a positive outcome from the beginning. Once agreed to, they influence your leaders’, management’s, and employees’ behavior to support the entire transformational process. 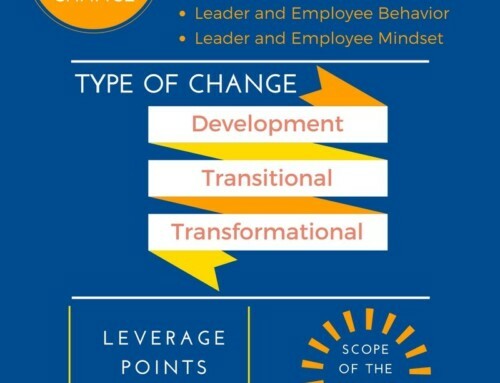 It is also valuable to use them periodically as a measure for how your transformation is going and whether your change leaders are walking their talk. This Info Sheet: Sample Conditions for Success provides a list of potential conditions for success. Your change leaders should reflect on their own experience and the situation they face to identify your unique list of conditions. Sometimes, it is helpful to look at your track record with leading change to pinpoint what worked or what was missing that hindered the success of your results. Once you have identified your conditions, you must agree on how to establish them in the organization, identify who will oversee and monitor them, and determine how these conditions will be used to have the greatest impact on your transformational process. It is imperative that your conditions be supported. Generating a list and only giving it “lip service” will damage the change leaders’ credibility and impair your success. Notice that the sample statements of conditions are written in the present tense. This is done intentionally to model the conscious transformational principle, “Lead as if the future is now” (Anderson & Ackerman Anderson, 2001). We have found that doing this with conditions for success, as well as with vision statements, helps people experience the future they want to create as a more attainable reality, thereby accelerating its realization.